“As the new President of the AMA I will, like my predecessors, chair the AMA’s Taskforce on Indigenous health. This recognises and emphasises the importance of the AMA’s efforts to improve the health and wellbeing of Aboriginal and Torres Strait Islander people, and our desire to keep ‘Closing the Gap’ initiatives at the top of our agenda. Closing the gap in health and life expectancy between Indigenous and non-Indigenous people is an achievable task – it is also an agreed national priority. The Federal Government must build on existing platforms and ramp up its ambitions to achieve health equality for Aboriginal and Torres Strait Islander people. The Taskforce, which was established in 2000, is comprised of representatives of the AMA Federal Council, AMA members and Indigenous health groups, including the National Aboriginal Community Controlled Health Organisation (NACCHO) and the Australian Indigenous Doctors’ Association (AIDA). The Taskforce is a robust and dedicated entity which identifies, develops and recommends Indigenous health policy and strategies for the AMA and oversees the AMA’s annual Report Card on Indigenous Health. This year, the 2016 Report Card on Indigenous Health will focus on rheumatic heart disease (RHD) – a major preventive health issue that significantly affects Indigenous people, particularly those in remote areas. As AMA WA President, I supported legislative change to improve reporting and reduce the burden of disease in Aboriginal communities in Western Australia. RHD is a classic example of the many preventable chronic diseases that are largely responsible for the health gap between Indigenous and non-Indigenous people, with its burden largely extinguished in other parts of the Australian community. We can no longer allow the prevalence of chronic diseases like RHD to remain unaddressed. While we have seen some recent improvements in Indigenous health, particularly in reducing infant mortality and smoking rates, the AMA wants to see the Commonwealth commit to improving resourcing for culturally appropriate primary health care for Aboriginal and Torres Strait Islander people. 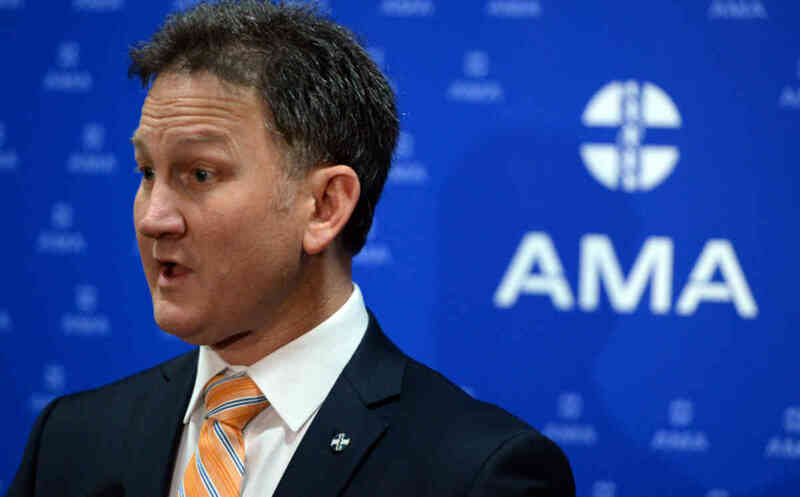 The AMA has repeatedly said that it is not credible that Australia, one of the world’s wealthiest nations, cannot address the health and social justice issues that affect 3 per cent of its citizens. We say this again. The fact that it is our nation’s first people makes it an even greater moral imperative. With the re-election of the Turnbull Government, the AMA will continue its call for long-term funding and commitments to Indigenous health. We will work closely with key ministers, government departments and other key stakeholders to ensure that appropriate action is taken. support the establishment of a Central Australia Advanced Health Research and Translation Centre. Central Australia faces many unique and complex health issues that require specific research, training and clinical practice to properly manage and treat and this type of collaborative medical and academic research, along with project delivery and working in remote communities, is desperately needed.